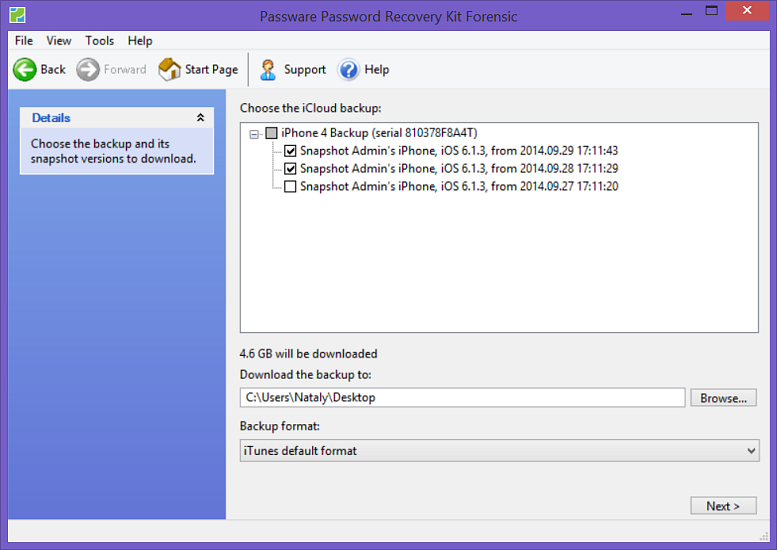 Passware Kit now acquires full iOS backups from iCloud if Apple ID credentials are known. 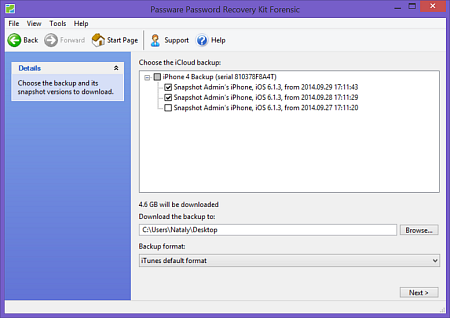 The backups are downloaded in iTunes format (readable by Apple software and Oxygen Forensic Suite) and plain readable format. All versions of iOS, including the latest 8.0.2, are supported. 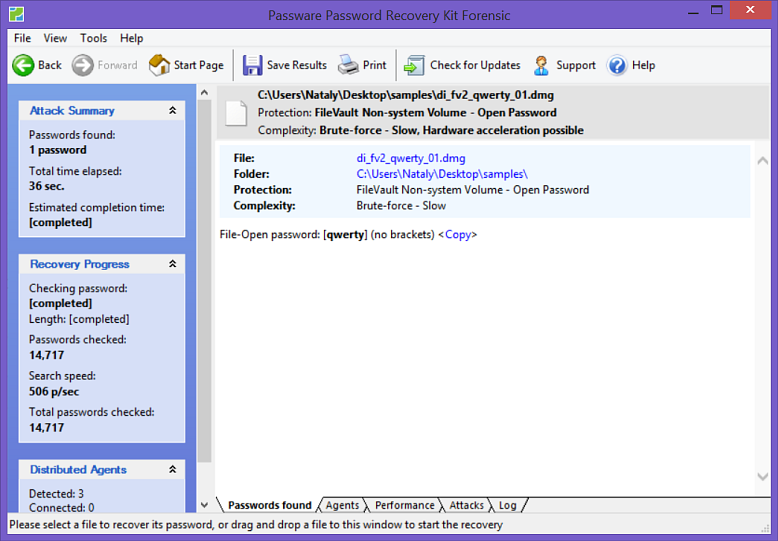 NOTE: This feature is available in the Passware Kit Forensic edition only and will also be integrated into Oxygen Forensic Passware Analyst. Passware Kit 13.7 decrypts FileVault2 non-system volumes, in addition to previously released decryption of FileVault2 system volumes. The FileVault2 password can be recovered without a wipekey file using regular brute-force attacks with NVIDIA and AMD GPU acceleration. Live memory analysis can also be used to decrypt FileVault2 non-system containers in a matter of minutes. Password recovery for TrueCrypt containers can now be accelerated on AMD GPU cards, in addition to NVIDIA. A single AMD Radeon 7850 provides a 112-times (!) acceleration, reaching over 50,000 passwords per second. Further acceleration is possible using more GPU cards and distributed computing. Password recovery for Windows Administrators can now be flawlessly launched on UEFI-boot systems. It is no longer required to adjust BIOS settings to make the computer boot from the Windows password reset CD or USB disk. 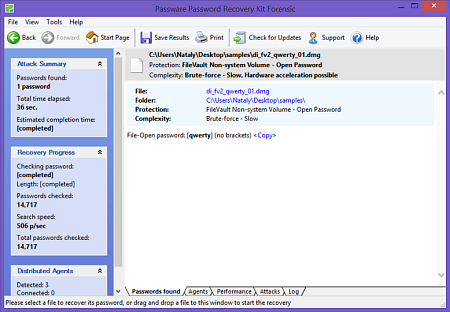 Passware Kit Forensic includes Search Index Examiner, which extracts data from Windows Desktop Search databases. 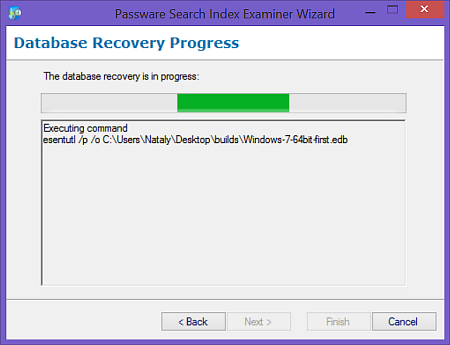 Now the extraction is possible even from damaged databases thanks to the built-in recovery option. NOTE: This feature is available in Search Index Examiner and Passware Kit Forensic edition only. Databases from Windows 8 and higher are not supported at the moment. It has become easier to troubleshoot distibuted password recovery processes, as Passware Kit acquires detailed logs from both the Server and the Agents and saves them into a single archive. This archive can be submitted to Passware Support for analysis. See the new features of Passware Kit Forensic 13.7 in action at leading forensic conferences in Europe: 7 October - Stockholm, Sweden; 8 October - Oslo, Norway; 9 October - Malmo, Sweden; 13 October - Bern, Switzerland; 14 October - Zurich, Switzerland. Passware will be speaking on challenges in electronic evidence discovery and mobile forensics. Contact Passware Marketing to attend any of these events.